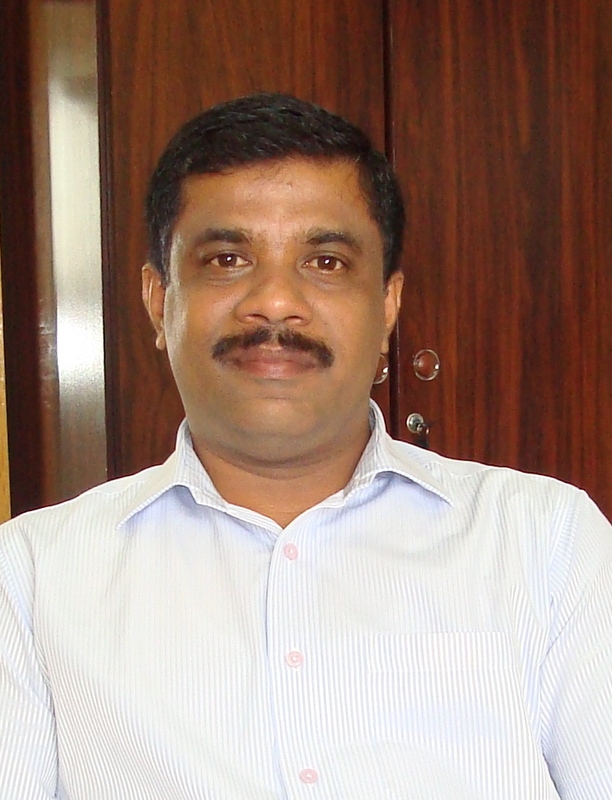 Dr.Sambhu Chithambaran is a renowned scientist and academician in the field of Aquaculture and Marine science. He has developed several aquaculture strategies and policies for coastal agriculture development and business enterprises all over the world. He obtained his Doctoral Degree in Aquatic Biology & Fisheries from University of Kerala, India in 1996 and later did post doctoral research in cryobiology and aquaculture. Currently he is working as Associate Professor in Faculty of Marine Sciences, King Abdulaziz University, Kingdom of Saudi Arabia. The thrust area of his research is aquaculture nutrition, shrimp breeding, pond management and Aquatic biosecurity. Dr.Sambhu served as Scientist Pool Officer in CSIR, Govt. of India and later joined in the leading integrated aquaculture project, Naqua, Saudi Arabia as R&D project controller. He has been involved in many international research projects and made significant achievements in the field of Marine Science and Aquaculture. He has won several awards and merits throughout his scientific career. Dr Sambhu has authored several research articles and scientific reports in national and international journals of repute and is a member of many Fisheries Societies and organizations. 1.Sambhu, C and Jayaprakas, V., 1994a. Dietary administration of protein and steroid hormones on growth, feed utilization, digestibility and body composition of the pearlspot, Etroplus suratensis (Bloch). Proc. VI Kerala Science Congress. January. 1994. Thiruvananthapuram. Kerala, India. 349-351. 2. Sambhu, C and Jayaprakas, V., 1994b. Effect of hormones on growth, feed conversion and proximate composition of the white prawn, Penaeus indicus (Milne Edwards). Indian Journal of Marine Sciences, 23: 232-235. 3. Jayaprakas, V and Sambhu, C., 1994. Impact of dietary human chorionic gonadotropin on growth and body composition of white prawn, Penaeus indicus (M.Edwards). Mahasagar, 27 (2): 131-138. 4. Sambhu, C and Jayaprakas, V., 1995. Growth responses of pearlspot, Etroplus suratensis (Bloch) to dietary human chorionic gonadotropin, Proc. VII Kerala Science Congress. January. 1995. Palakkad. Kerala, India. pp 344-346. 5. Jayaprakas, V and Sambhu, C., 1995. Effects of dietary hormones on food utilization, growth and body composition of the pearlspot, Etroplus suratensis, (Bloch) in a brackish water pond. Indian Journal of Marine Sciences, 24: 32-36. 6. Sambhu, C., 1995. Prawn diseases and remedies. Kerala Kaumudi Daily. 4-3-1995, p 4. 7. Jayaprakas, V and Sambhu, C., 1996. Growth response of white prawn, Penaeus indicus to dietary L-carnitine. Asian Fisheries Sciences, 9: 209-219. 8. Jayaprakas, V., Sambhu, C and Sunilkumar, V., 1996. Impact of dietary L-carnitine on growth and reproductive performances of male Oreochromis mossambicus (Peters). Fishery Technology, 33 (2): 84-90. 9. Sambhu, C and Jayaprakas, V., 1997. Growth promoting potential of L-Thyroxin in green chromide, Etroplus suratensis (Bloch) (Cichlidae-Pisces). Journal of Aquaculture in the Tropics, 12: 305-318. 10. Sambhu, C and Jayaprakas, V., 1997. Dietary supplementation of Testosterone propionate on growth performance of white prawn, Penaeus indicus (M. Edwards). Indian Journal of Experimental Biology, 35:1353-1358. 11. Sambhu, C and Jayaprakas, V., 1997. Impact of diethylstilbestrol on the growth characteristics of white prawn, Penaeus indicus, (M.Edwards). Journal of Aquaculture, 5 : 1-12. 12. Sambhu, C and Jayaprakas, V., 1997. Incorporation of two commercial growth promoters in the culture of white prawn, Penaeus indicus (Milne Edwards) (Crustacea-Decapoda). Proc. Xth Kerala Science Congress. January. 1997. Kozhikodu. Kerala, India. p 170-173. 13. Sambhu, C and Jayaprakas, V., 1997. Dietary administration of testosterone propionate on growth, proximate composition and residual content of pearlspot, Etroplus suratensis (Bloch) (Cichlidae). Indian Journal of Marine Sciences, 26 : 173-179.
. 15. Jayaprakas, V and Sambhu, C., 1998. Growth characteristics of white prawn, Penaeus indicus (Decapoda-Crustacea) under dietary administration of protein hormones, Indian Journal of Marine Sciences, 27: 389-395. 16. Jayaprakas, V and Sambhu, C., 1998. Role of diethylstilbestrol on the growth of pearlspot, Etroplus suratensis (Bloch). Fishery Technology, 35 (2): 25-30. 17. Jayaprakas, V and Sambhu, C., 1999. Influence of L-carnitine on growth and lipid metabolism in pearlspot, Etroplus suratensis (Bloch). Indian Journal of Experimental Biology, 28:321-325. 18. Sambhu, C and Jayaprakas, V., 2000. Livol (IHF-1000) a new herbal growth promoter in the culture of white prawn, Penaeus indicus (M.Edwards). Indian Journal of Marine Sciences, 31:1144-1150. 19. Euphrasia, C., Jayaprakas, V and Sambhu, C., 1999. Impact of a herbal product, Livol (IHF-500) in the mixed culture of Indian major carps. In Advances in Aquaculture, 78-94. 20. Sindhu, S., Jayaprakas, V and Sambhu, C., 1999. Effect of hormones on growth and food utilization of the common carp, Cyprinus carpio. In Advances in Aquaculture: 8-14. 21. Sambhu, C and Jayaprakas, V., 2001. Impact of hormone combinations on growth of pearlspot, Etroplus suratensis (Bloch) Fishery Technology, 4: 31-39. 22. Sherly, D., Sambhu, C and Jayaprakas, V., 1999. Effect of a live microbial feed additive, G-probiotic on the growth of fringed lipped carp, Labeo fimbriatus (Day) Paper presented in the National Symposium on Sustainable Development of Fisheries Towards 2000 AD- Opportunities and Challenges. Cochin University of Science and Technology. 23. Sambhu, C and Jayaprakas, V., 2001. Impact of a commercial growth promoter, livol in the culture of tiger prawn, Penaeus monodon. (M. Edwards). Indian Journal of Marine Sciences, 21: 44-52. 24. Sambhu, C and Jayaprakas , V., 2003. Impact of a commercial product, stafac-20 on the growth characteristics of white prawn, Penaeus indicus (M.Edwards). Indian Journal of Experimental Biology, 20 34-38. 25. Sherly D Jayaprakas V and Sambhu C, 2003. Effect of testosterone propionate on the growth responses of the fringed Lipped carp, Labeo fimbriatus (Day). Journal of Aquaculture in the Tropics, 23: 3(1): 34. 26. Sambhu C 2004. African catfish, Clarias gariepinus: An ideal candidate for biowaste management. Indian Journal of Experimental Biology, 32:22-28. 27. Sambhu C, 2011. Desert aquaculture and environmental sustainability. Paper presented in the ‘International Conference on Ecosystem Conservation and Sustainable Development’ Organized by Ambo University, Ethiopia, 10-12 February. 28. Sambhu C and Sherly D., 2011. Red hogweed fights WSSV, promotes growth in tiger shrimp, Global Aquaculture Advocate: 94-95, May/Jun. 29. Sherly D Sambhu C and Jayaprakas V, 2011. Growth response of fringed lipped carp, Labeo fimbriatus (Day) to a soya product Nutripro Aqua. Indian Journal of Science & Technology, 4 (8) : 310-311. 30. Kitto MR and Sambhu C, 2012. Litter Pollution on the Coastline of Obhur, Kingdom of Saudi Arabia, Arab Gulf Journal of Scientific Research, 30 (2/3) 112-119. 31. Sambhu C, 2013. The effect of hormones and growth promoters on growth and body composition of pearlspot (Bloch) and white prawn, Penaeus indicus (M.Edwards). Journal of Basic and Applied Biology, 6 (2):17-23. 32. Sherly D and Sambhu C, 2013. Dietary supplementation of Livol on the growth performance of fringed lipped carp, Labeo fimbriatus. Journal of Basic and Applied Biology, 12 :34-36. 33. Sambhu C, Kitto MR and Samy Al Deen, 2014. Early larval rearing of white shrimp, Fenneropenaeus indicus by feeding enriched rotifer diets. Thalassas, 30(2) : 9-12.